UN asks India and Pakistan to show ‘maximum restraint’ even as Imran Khan calls National Command Authority meeting again. New Delhi: A day after India struck the biggest camp of Jaish-e-Mohammed (JeM) in Balakot, Pakistan, the international community, including US, France, Australia and others, has strongly urged both countries to exercise restraint and de-escalate the growing tensions on both sides of the border. “I expressed to both Ministers (Sushma Swaraj and her Indian counterpart Shah Mahmood Qureshi) to underscore the priority of de-escalating current tensions by avoiding military action, and the urgency of Pakistan taking meaningful action against terrorist groups operating on its soil,” US Secretary of State Mike Pompeo said in a statement. Pompeo said he has had discussions with the both foreign ministers and urged restraint and maintenance of peace and security in the region. He said he has asked India to emphasise the “close security partnership” it shares with US and their shared goal of maintaining peace in the South Asian region. “I also encouraged both Ministers to prioritise direct communication and avoid further military activity,” added Pompeo. 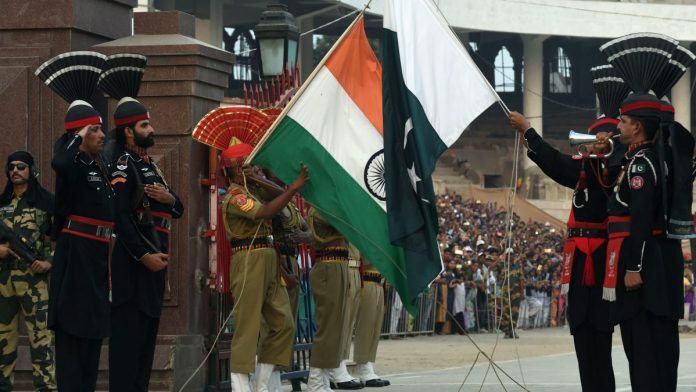 Amid reports from across the border that Pakistan may retaliate to India’s airstrikes, France said both sides should look at resumption of the bilateral dialogue between New Delhi and Islamabad to “initiate a peaceful settlement of differences”. “The resumption of bilateral dialogue between Islamabad and New Delhi is necessary to initiate a peaceful settlement of differences,” said the acting spokesperson of French ministry of Europe and foreign affairs. Australian Foreign Minister Marise Payne said Pakistan should take “urgent and meaningful action” against terrorist groups in its territory, including JeM which has claimed responsibility for the 14 February Pulwama attack, and the Lashkar-e-Taiba. “Pakistan must do everything possible to implement its own proscription of Jaish-e-Mohammed. It can no longer allow extremist groups the legal and physical space to operate from its territory,” she said in a statement. “These steps would make a substantial contribution to easing tensions and resolving the underlying causes of conflict. Australia urges both sides to exercise restraint, avoid any action which would endanger peace and security in the region and engage in dialogue to ensure that these issues are resolved peacefully,” added Payne. Earlier this week, the European Union had also asked both sides to diffuse the tensions. Federica Mogherini, EU high representative for foreign affairs and security policy/vice-President of the European Commission, said she is in touch with both India and Pakistan on this matter. “The European Union’s policy has always been to promote a dialogue between Pakistan and India to sort out differences,” said a press statement by the EU. Meanwhile, UN chief Antonio Guterres said both neighbours should show “maximum restraint”. The Jeddah-based Organisation of Islamic Cooperation (OIC), which has invited India as a ‘Guest of Honor’ for its plenary session on 1-2 March in Abu Dhabi, has condemned Indian “incursion and aerial violation”. However, it urged both sides to “act responsibly and seek peaceful solution to the current crisis without resort to use of force”. Meanwhile, Pakistan Prime Minister Imran Khan has called a meeting of the National Command Authority (NCA) Wednesday. NCA is the topmost policy-making body of Pakistan that authorises the use of fire-arms and oversees the control of the country’s nuclear arsenals.